One can’t mention the current debate over “civility” in American politics without highlighting the role that President Trump’s approach to the political dialogue plays. 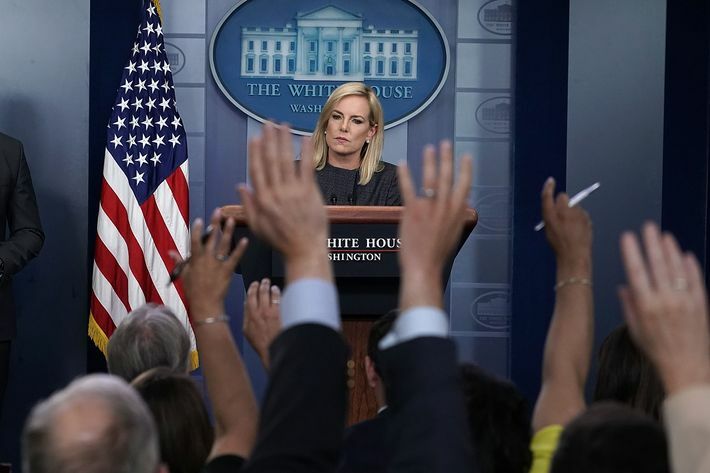 Every piece about whether that restaurant in Virginia should have served White House press secretary Sarah Huckabee Sanders or about Homeland Security Secretary Kirstjen Nielsen being accosted at a D.C. restaurant necessarily includes an aside about the coarseness of Trump’s spoken and tweeted accusations. What’s often overlooked, though, is that this is, in the vernacular of Silicon Valley, a feature, not a bug. Trump’s incivility — defended in that first “politically correct” comment — is why he is president and why he is as popular among his base as he is. Dr. Krass raised the mention of candidacy for President in his remarks and the need for an alliance that should exit between Jew and Christian for a harmonious relationship. Dr. Krass asked whether the Protestants would put this tolerance and brotherly spirit into practice if they were called upon to vote for a Catholic for President. In his address Dr. Cadman said: “In the building of the American commonwealth. homogeneity of spirit will contribute more to the evolution of uniform citizenship than the uniformity of blood-strains. To the furtherance of the American ideal we all are outspoken in condemnation of all forces that divide. alienate. and set us apart. We are concerned in all efforts that bring us closer so that we may appreciate each other the more. The Lausanne Conference with its 500 different sects meeting on common ground to explore a basis for unity in the Christian church would have been impossible. But we all soon learned what WAS possible.